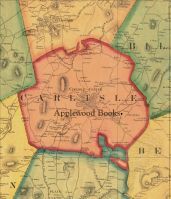 Applewood Books: Hello, Cape Cod! 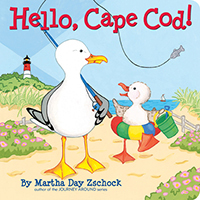 After Commonwealth Editions best-selling author Martha Day Zschock created ten books for the "Journey Around" series, she focused her trademark artistry, whimsy, and feeling for place and created a new board book series about favorite places in New England and beyond. Hello, Cape Cod! 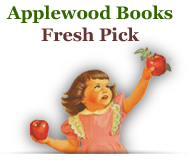 takes children and the parents who read to them along Cape Cod, with its many fun and sometimes tasty attractions. A resident of Orleans on Cape Cod and a former third-grade teacher in the Barnstable school system, Zschock is perfectly tuned in to what young people find most engaging in her own backyard. For ages 2-5.